Cathy Copeland cares for our community. As an engaged educator and community advocate, Cathy will craft clear, reasonable legislation to address our educational needs, increase access to mental health care, and concentrate on safe and long-term infrastructure solutions. Recognizing the importance of collaboration and civil discourse, Cathy has trained with Emily’s List, Emerge Virginia, and the Sorensen Institute’s Political Leaders Program in order to be a more effective civil servant. 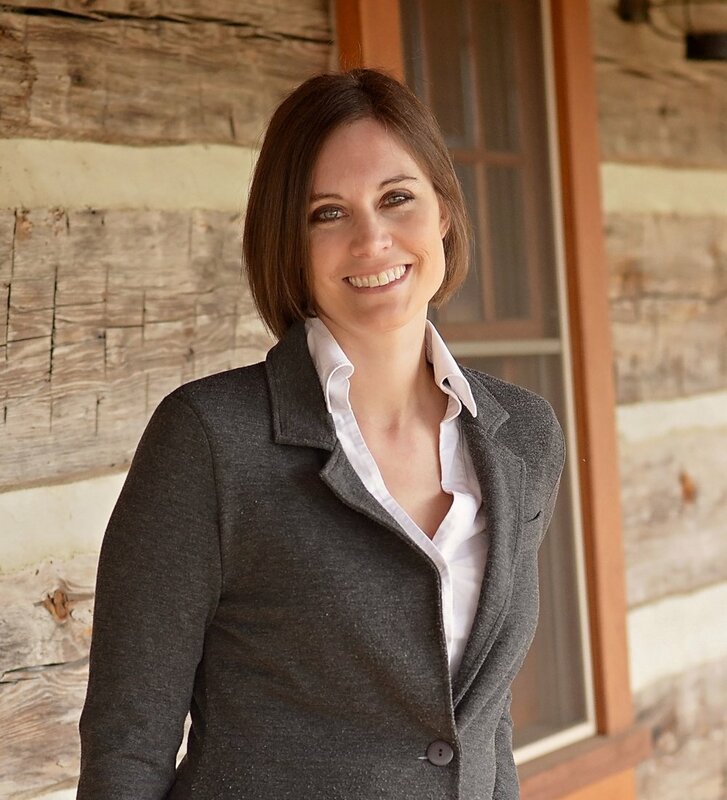 She is one of only 10 Delegate candidates in Virginia endorsed by Run for Something. Cathy wants to bring inclusivity and problem-solving to Richmond, as she works to advocate for our community—House District 26. I love the Shenandoah Valley. My husband, Adam, and I were married in March 2010 at CrossKeys Vineyards. Both of my children, Latham (6) and Gwendolyn (3), were born in Harrisonburg. I am involved in several community groups and my church, Muhlenberg Lutheran. Over my nine years in the Valley, I’ve cultivated friendships and professional relationships, and I’m so grateful to call this beautiful community home! I was born and raised in Fort Wayne, Indiana. I earned my B.A. with a Biology major at Hanover College in 2002 and earned my M.A. in English Literature at Indiana University (IUPUI campus) in 2004. I edited the science journal Proceedings of the National Academy of Sciences in Maryland for two years before going to the University of Alabama’s Renaissance Literature Ph.D. program in 2006. I finished my doctoral coursework in December of 2009, and moved to Harrisonburg in March of 2010. Most of my professional career has been spent educating college students in English literature and writing. I've taught at JMU for the past eight years, but I've also taught at Blue Ridge Community College, the University of Alabama, IUPUI, and Purdue University Global. I've also worked with younger students too--most recently when I was the Education Coordinator at the EJC Arboretum at JMU. I believe that the delegate who represents Virginia’s 26th district needs to concentrate on several areas, but I'm very passionate about education. I see public education as the lifeblood to a healthy, inquisitive, and socially just society. Having battled postpartum depression when my children were young, I am especially invested in helping address mental health care as well as how to best support new mothers. My son and daughter are the most glorious creatures in the world, and I'm lucky to have had a supportive husband, wonderful friends and family, and resources available in our community as I work to help them grow. I want to be sure that we can help every child, every woman, and every family in Harrisonburg and Rockingham County. During 2017, with fellow community members, I helped to start and organize ForHHS2, a grassroots non-partisan organization that advocated to the HCPS School Board and the Harrisonburg City Council that there needed to be a second high school. In 2018, I was selected to be in the Sorensen’s Institute Political Leaders Program class of 2018 (through the University of Virginia). As part of that program, I spent 2018 visiting many regions around the Commonwealth and discussing how all areas interact. It was enlightening and energizing, and, because my classmates were from all areas of the political spectrum, it allowed me to practice civility, trust, and respect in politics while discussing polarizing and relevant issues. I want to work to clean our air, water, and streams and to cease polluting our environment. I believe that we should concentrate on finding ways to make renewable resources easier to access and more affordable to use for our power sources. For this reason, I assume the Dominion will not attempt to offer me money for my campaign, but I have joined in solidarity with many other candidates to refuse money from Dominion. I have great hopes for Dominion, though; I think that, with more deliberate oversight and regulation from an environmentally-conscious General Assembly, Dominion can become part of the solution. I will be glad to work with them and to move their production away from fossil fuels and toward renewable resources. I believe that my collaborative work ethic and my passion for funding public education, strengthening our physical and mental health care systems, supporting the environment, investing in small businesses, and fixing large and small problems alike make me the best candidate to represent the 26th District.